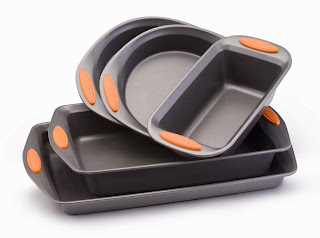 The price on this Rachel Ray Oven Lovin' Non-Stock Bakeware Set, keeps dropping. Right now, Amazon has the LOWEST PRICE that we've seen on it. Snag it for ONLY $35.99 with FREE SHIPPING right now. This price is 64% off the retail price.